Owing to our in-depth knowledge in this domain, we are specialized in providing Moringa Dry Leaves. We have highly acknowledged organisation engaged in presenting a remarkable range of Dried Moringa Leaves. 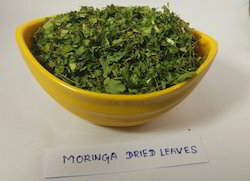 Being a well-distinguished company in the market, we are into offering Moringa Dried Leaves.